The Creative Exchange Lab /Center for Architecture and Design Saint Louis (CEL) will open the first exhibition in the new series “CONTEXTCONTRAST: ST. LOUIS” at its Washington Avenue location on November 22, from 6:30 until 8:30 p.m. The evening’s program will be a conversation featuring Heather Woofter and Sung Ho Kim, principals in the firm Axi:Ome llc, architects of the new University of Missouri – Saint Louis building in Grand Center that houses St. Louis Public Radio as well as media classrooms, labs and academic offices that opened in September of 2012. The conversation will center around their process and a discussion of the direction of the role of new architecture in this era of rapid change in the St. Louis built environment. This exhibition is a continuation of the dialogue begun with “Context/Contrast : New Architecture in Historic Districts 1967-2009”, recently on view at CEL and developed by AIA New York and The Center for Architecture, that explored a selection of new commercial and residential projects and how they relate to the surrounding architecture and historically significant communities in which they are located. “CONTEXTCONTRAST: ST. LOUIS” will be on display through December 31, 2013, at Creative Exchange Lab/Center for Architecture and Design, 3307 Washington Avenue, St. Louis, MO. Congratulations to the following Chapter members who have been elected to the board for a 2-year term starting in 2015! We’re pleased to have Barb and Christy return to the board and that Nick and George will join us as new board members. Thanks to our 2013 outgoing board members: JoAnn Brookes, Maren Engelmohr, Marc Lopata, Jay Swoboda, and Megan Ridgeway – we appreciate your contributions and service to our mission! 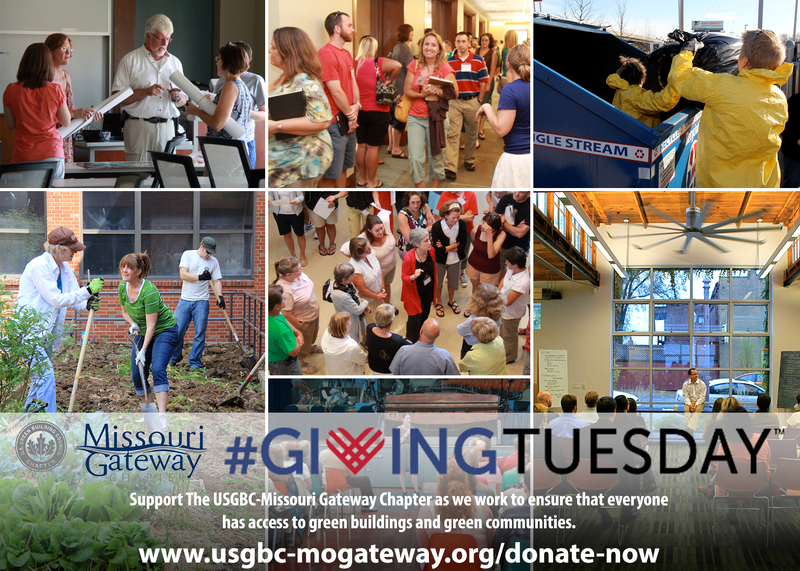 USGBC – Missouri Gateway Chapter Board Elections will take place from Thursday, November 7 through Tuesday, November 12. In order to vote, you must be a current member of the Chapter. We will elect four individuals to the Board of Director in general positions. The Board will identify from these newly elected members and the existing members the specific officer assignments through Dynamic Elections. Open positions include; Chair-Elect (1 year term, becomes Chair in 2013 and Past Chair in 2014), Secretary (2 years), At-Large (2 years).